In 1995, Tom Orme and his wife went on vacation to Chile to visit their friends, the Woerners. During their stay, Tom tagged along as David (Woerner) made business related trips here and there. It was a great way to see the sights. One stop in Santiago made a life-changing impression on Tom. The stop was at an orphanage that housed girls, ages 3-17. As Tom walked the grounds while waiting on David, he noticed that while all the other properties had well-made fences surrounding them, the orphanage fence was in disrepair. In fact, you could drive a car right through the one hole in the wall. When he met the orphanage administrator, Tom inquired about the hole. To his horror he learned that they hadn’t enough money to repair it, and just the night before a man had entered and raped a four-year-old girl. When Tom returned to the States, he found himself unable to shake from his mind the images of the orphanage. Not knowing the first thing about construction, he contacted a number of people who would be able to fix it, but since they had not seen what he had seen, he was unable to motivate them to take the trip to Chile. Finally, Tom realized that God was speaking to his heart about organizing a trip to Chile to repair the wall. As he prayed and spoke to a variety of Christian friends, God provided the workers, finances, and time for a work trip to the orphanage. 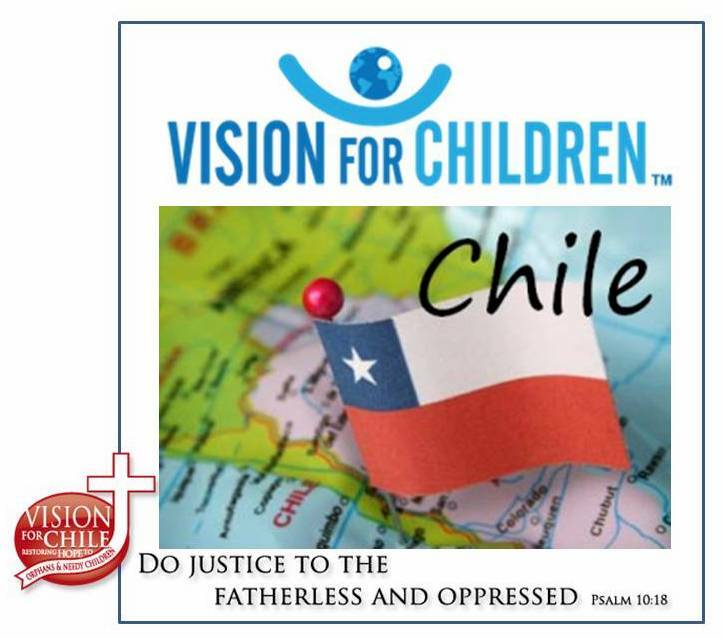 They named the ministry “Vision for Children Chile” and went to work. Since then, Vision for Children Chile has made two trips to Santiago each year. Trips have included a major rebuild of the dining facility and construction of four new dormitories for the girls.